We consider the moral implications of scientific research, especially when the aim is to develop military arms. Are the scientists involved morally responsible for the use of these weapons on civilians? Author and historian Robert Neer recounts the top-secret research conducted at Harvard in the early 1940s, which yielded the weapon napalm. Use of napalm was widely accepted in WW2 and killed more Japanese even than the atomic bombing of Hiroshima and Nagasaki. But when napalm was used by the U.S. military during the Vietnam war, peace activists decried the substance—a gasoline-based gel that sticks to human skin and burns to the bone at extremely high heat—to be inhuman. An iconic photo showed a 9-year-old girl, who was burned severely by napalm. Yet the chief scientist who developed the weapon later disavowed responsibility for its use. 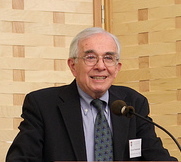 We also hear from Harvard science historian Everett Mendelsohn, who signed an anti-napalm petition in 1967 and has since studied and taught about the gap between weapons research and a deep awareness of how weapons development can lead to great human suffering.